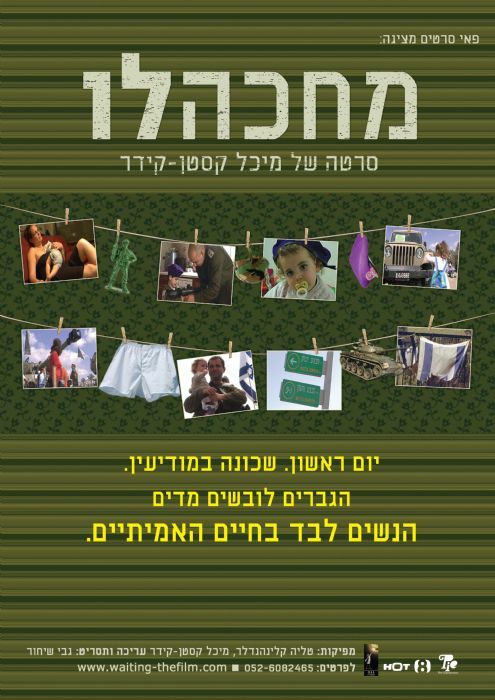 Released back in 2009, the film has become even more relevant, following the tragic death of its protagonist Lt. Col. Dolev Keidar, who was killed during operation Protective Edge, in July 2014. It is 6 a.m. on a Sunday morning in the Israeli suburban town of Modiin. There are parallel lines of identical houses each flying flags from the front porches. Men in uniform, many of them carrying weapons, emerge from the houses and drive away. They will come back in two weeks. What we see is a military neighborhood with 170 houses built for the families of army officers who leave their wives to deal with real, everyday life while they go to play war. This is a personal film made by the wife of one of the officers. It follows the life of the women left behind as their men go to "save the homeland". The film is an attempt to understand an upside-down country where one is often expected not to simply enjoy life but rather to expect war and early death.